Note: Here’s our final lesson for this year’s Budding Writers Project. We hope you’ve enjoyed this series. Sign up for this year’s Budding Writers Project by Marshall Cavendish Education. There’s a link at the end of this post. A hearty hello to you, budding writer! May your stories be awesome, and may your creative talent guide you to the wonderful destiny that you surely deserve. 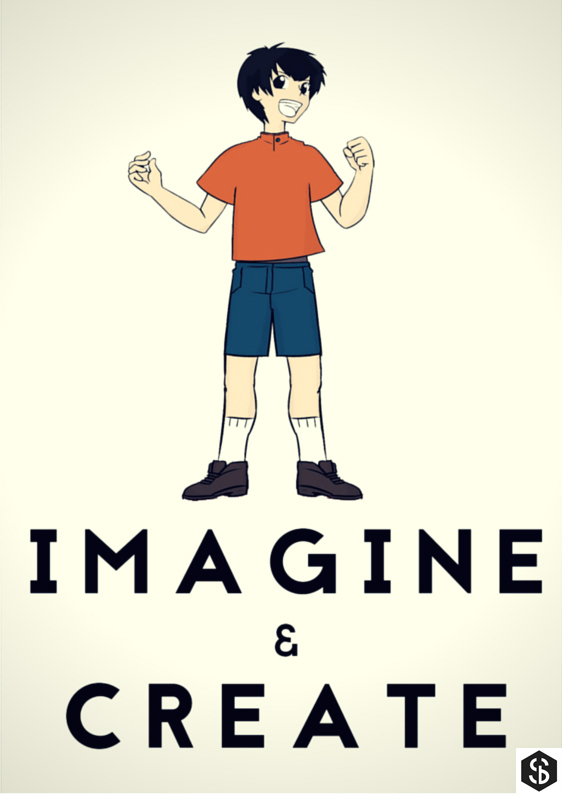 This week you’ll learn three simple exercises that help you use your imagination with more confidence. Try them out. As you work on them, you’ll find yourself able to connect ideas faster, visualise your story more vividly, and thoroughly enjoy the writing process. Most of us have been taught to ask only sensible questions. Which is helpful when you’re in class. But when writing a story, asking sensible questions about your character can only lead you to boring and predictable answers. On the other hand, asking crazy “what if” questions will definitely inspire unusual, astonishing, or even bizarre ideas. These are exactly what you’ll need to make your story original and memorable. TRY THIS: Here’s a fun activity that you can do anywhere. First, look around you and pick a common object. It can be a leaf, a street sign, a broken toy, a crushed drink can, or anything at all. Next, make a list of crazy “what if” questions you can ask about this object. For example, if it’s a leaf, you might ask: What if this leaf suddenly starts to sing? What if eating this leaf gives you magical powers? What if this leaf has an incredibly hard and sharp edge that can be used to cut through metal? You’ll soon come up with fantastic ideas that you can use in your story. Some people believe that it’s not possible to create new stories in this world anymore. Instead, all we can do is recycle elements from existing stories, and present these in new ways. You can use this approach to stretch your imagination and develop new story ideas fairly quickly. Combine elements from different stories, and throw in your own ideas. Change all the names. And don’t forget to add lots of local flavour. TRY THIS: Think of a character that you like, whether from a book or movie or computer game. And then pick a setting from a popular fairy tale. Imagine that the character has been set loose in this setting, and see how quickly you can weave a story out of this scenario. You can try working on this with a few friends. Human beings are naturally captivated by stories about a special person doing something heroic or ambitious. We can’t help it. We feel curious, inspired, even envious. Perhaps deep down inside we all long to be great ourselves. When writing your story, find ways to raise the level of challenges that your main character has to face. Even if it’s a simple task, like going to the supermarket to buy some apples, you can include lots of extraordinary obstacles and complications along the way. TRY THIS: The next time you miss your bus, or someone forgets to get your lunch, or you can’t access your email account, don’t get angry. Instead, get busy using your imagination. Pretend that there’s a powerful organisation that’s very interested in you, and they’re somehow responsible for messing up your life. Who are they, and what do they want from you? What’s the epic task that you must complete, in order to keep yourself safe from them? What’s the grand reward waiting for you at the end? Have fun thinking about this, and explore as many different ideas as you can. Who knows, you could come up with a cool idea for a bestseller! You can do these exercises in your head when you’re on the bus, waiting for the train, or just lazing around in your room with your favourite music playing in the background. Remember to write down all your ideas in a notebook. Some of them will be really awesome. You should definitely include these in your story. 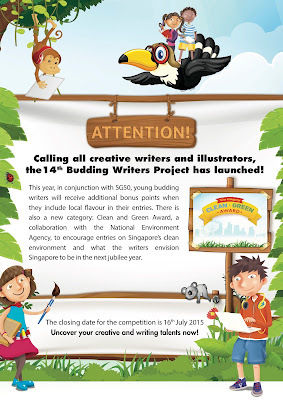 Sign up for the 14th Budding Writers Project here. This year, in conjunction with SG50, writers will receive bonus points when you include local flavour in your entries. There is also a new category: Clean and Green Award, a collaboration with the National Environment Agency, to encourage entries about Singapore’s clean environment and how you envision Singapore to be in the next jubilee year. 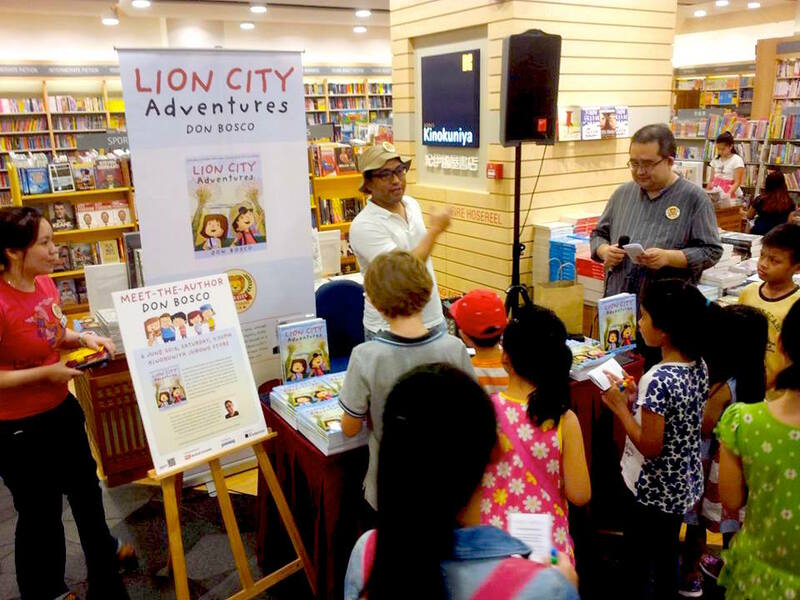 Don Bosco is the author of LION CITY ADVENTURES, published by Marshall Cavendish Editions. It's a Singapore exploration book with fiction segments where you help to solve mini-mysteries. It'll be in bookstores in June 2015. 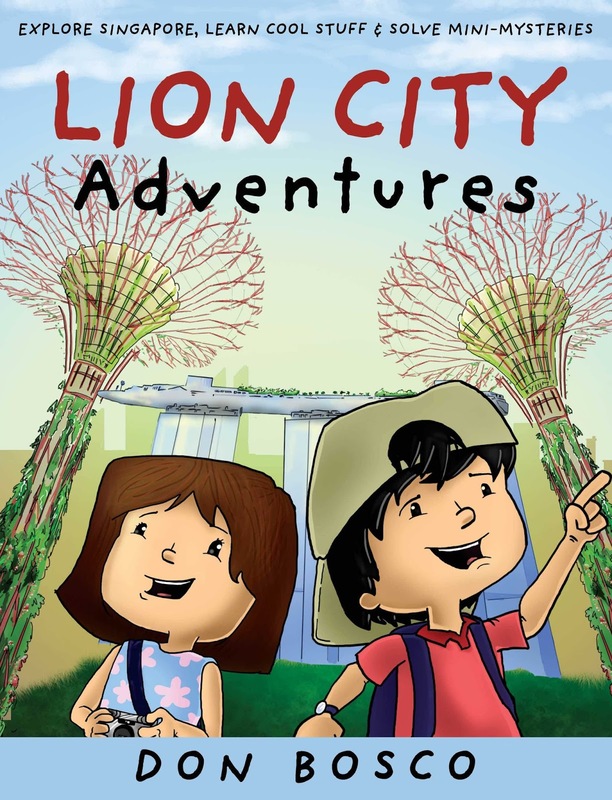 Come join the Lion City Adventuring Club and have fun discovering the marvels of Singapore! More information here. 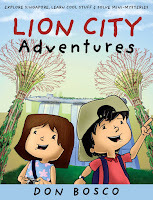 Read about the Lion City Adventuring Club here and here.